In years when early-season monsoon rains cause delayed planting of corn, there is often more than the usual amount of late-maturing standing corn that gets sold for silage harvest. Such will be the case this year in many parts of the Midwest and Northeast where record rainfalls were experienced in states like Missouri, Illinois, Indiana, Ohio, Kentucky and New York. Many approaches have been suggested for reaching a fair selling price for standing silage corn; through the years, I’ve tried just about all of them. Most farmers want a method that’s simple yet justifiable. 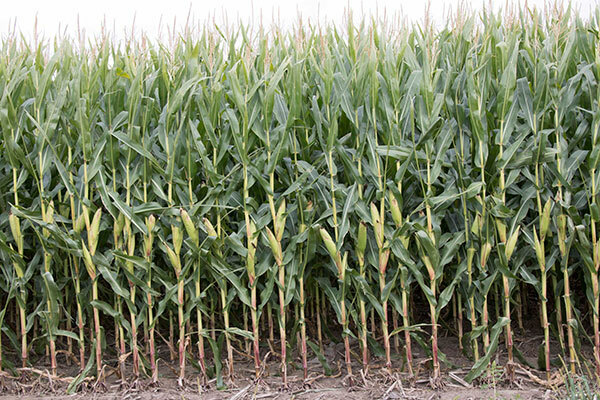 Research tells us that there are 7 to 8 bushels of corn grain in a ton of normal corn silage. The same research also documents variation in this number caused by whole plant moisture, the actual grain yield of the crop, and the actual grain-to-stover ratio. Often it's suggested to simply multiply the price of grain corn times 7, 7.5 or 8 to get the comparative price per ton for wet silage. This will frequently get you in the ballpark but perhaps not in the right seat. It usually is a good estimate because the cost of grain harvest (a savings) is near equally offset by the value of additional nutrients and organic matter (a cost) removed in the silage crop. When pricing corn for silage, it’s best to first approach the transaction from the seller’s perspective. Generally, the seller is not going to price the crop for less than what could be made if it was harvested and sold for dry grain. The possible exception might be where there's certainty that the crop won't reach maturity to make a grain harvest possible. To derive the fair market price for corn silage, calculate the potential gross income from grain (price x yield); subtract grain harvesting costs including combining, trucking, drying, storage, and harvest loss; then add back the fertilizer value of the stover being removed. The result from these calculations is then divided by the estimated corn silage yield to give an equivalent price per ton that equals the net grain return. Keep in mind that the seller's equivalent net return for grain price is essentially a floor, or minimum price. From the buyer’s perspective, there may be reason to pay more or the need to look for cheaper alternative feeds. Corn grain price is the primary silage price driver. Both buyer and seller need to first agree on how the base grain price will be determined. Some options include: local price on a given date, average of local price on several dates, or using a futures market price. Once a base price is determined, some adjustments may still need to be made. Harvest moisture is an important factor that is often overlooked when selling silage. If the base price is set for 65 percent moisture corn silage, an adjustment must be calculated if the silage is actually harvested wetter or drier than 65 percent. To adjust the price of silage for a base moisture content, give this spreadsheet a look. Finally, sell by the ton; estimating silage yield and selling by the acre will almost always result in someone getting the short end of the corn stalk.